Considerable effort and care is given to volunteer recruitment, an ongoing process and successful component of MPPP. 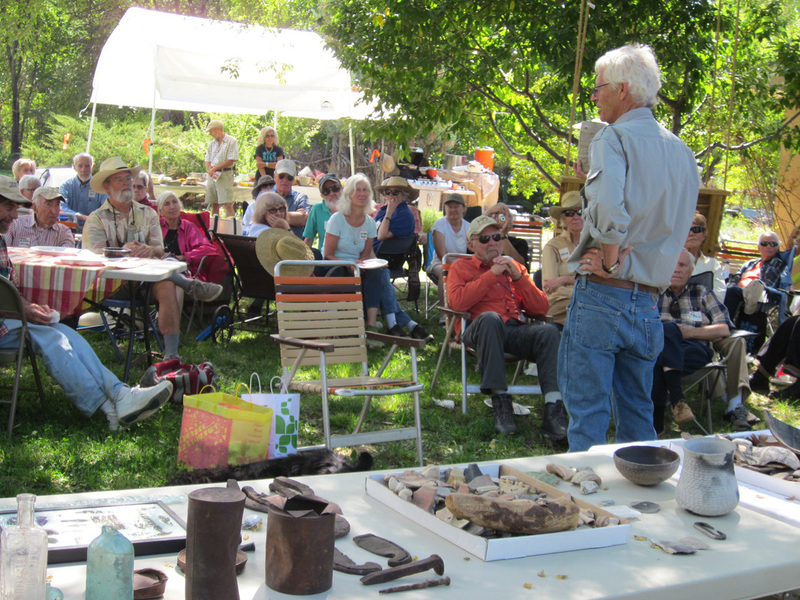 The project is fortunate to have long-standing volunteers and is continuing to attract new people with commitment to the philosophy of preservation. Volunteers come from tour attendees, area residents, the professional community, the spring Pláticas seminar series and avocational groups. Many new volunteers are brought to MPPP by current supporters who have contacts with similar groups. Volunteers contribute thousands of hours to MPPP in activities such as petroglyph recording and surveying, tour docents and facilitating “Discovering Mesa Prieta”, the school curriculum developed by the MPPP Education Committee. 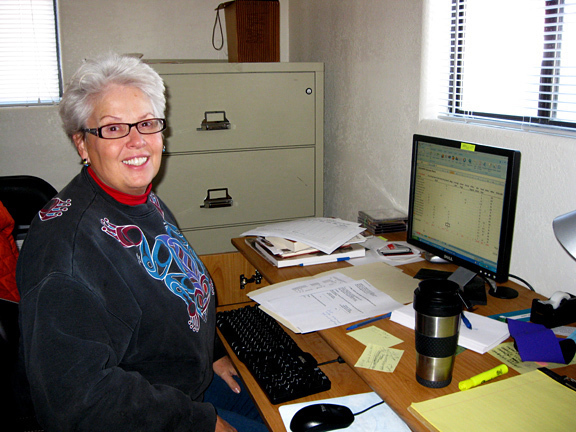 Many volunteer hours are also spent with the Summer Youth Intern Program, in the archival library, in database management, data entry, office assistance, web site development, Site Watch on the Wells Petroglyph Preserve, and on the MPPP Board of Directors and associated committees. Wells Petroglyph Preserve tour docent Chris Riveles (center) leads a tour on the Wells Petroglyph Preserve. Volunteers are trained to work in teams of two, three or four recording petroglyphs to achieve our goal of recording all the petroglyphs on Mesa Prieta. Teams collect a variety of data which are entered into a multi-level relational data base: locational, photographic, drawn graphic, metric, classification, directional and descriptive. Bill Cella and K. Paul Jones record a large petroglyph panel on the edge of a very deep arroyo on Mesa Prieta. Photo by teammate Jan Stone. Bill, Jan and Paul have been recorders with MPPP since 2009. 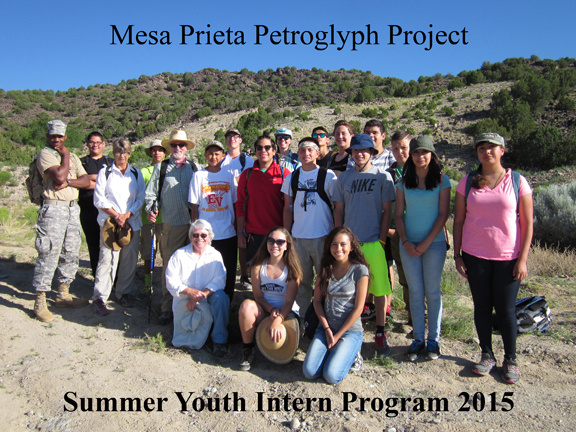 2015 Summer Youth Intern Program participants and adult volunteer mentors on Mesa Prieta. Petroglyph recording data and a variety of geographical data are entered into the project’s purpose-designed multi-level relational GIS database, which has an MS Access interface. Access to the database will be available to researchers and others with permission. A separate Cultural Landscape database is developed to contain information about cultural landscape features recorded on the mesa. These include artifacts, structures, trails and other significant historic and prehistoric features that tell researchers more about the people who lived on the mesa over a period of thousands of years. 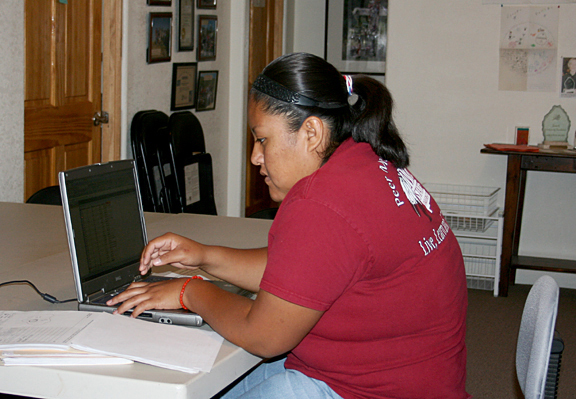 Volunteers do data entry in the project office based on their availability. If you are interested in any of these committees, please contact Volunteer Coordinator Gretchen Yost at volunteer@mesaprietapetroglyphs.org and she will send draft descriptions of the work that needs to be done by each committee. The committees conduct all of the business of the project in addition to annual, five-and-ten year planning, grant writing and fund raising. Committee members also conduct training, volunteer recognition, special events and numerous other activities related to the project. Maintenance and upgrades are conducted regularly on each of the six Wells Petroglyph Preserve trails. Volunteers pitch in with rakes, shovels, chainsaws, pruners, wattles, straw bales and other implements to make the trails safer and to reduce erosion on the Preserve that results from natural elements and tour traffic. Approximately 70 docent-led tours are given each year on the Preserve and the traffic contributes to wear and tear on the fragile terrain resulting in erosion and possible boulder movement. Remediation is conducted during regularly scheduled trail maintenance work days. Volunteers bring their own tools and donations of trail stabilization materials are greatly appreciated.